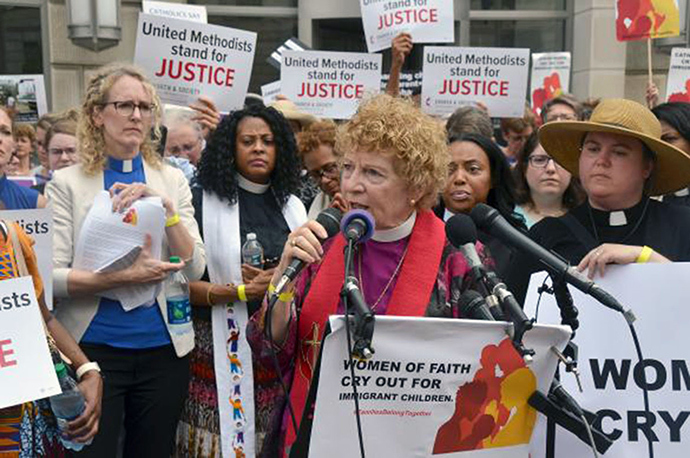 File photos courtesy United Methodist News Service. One cannot experience the Advent, Christmas, and Epiphany Seasons without noticing the recurring themes of journey and migration. Mary and Joseph were uprooted from their home and forced to journey to another town when the Roman government demanded a census of its Jewish subjects. Shepherds journeyed from their fields into a community that shunned them and kept them at the margins. Wise men from the East traveled from far-away lands, following a star, in search of the King of the Jews. Jesus, Mary, and Joseph fled their home country to seek refuge in Egypt when Herod the Great determined to kill the Christ child. The Bible is very clear about the treatment of those who come to us from other lands. We are to extend hospitality and love and welcome them with open arms. It tells us to “love the stranger” (Deuteronomy 10:19) and “extend hospitality to strangers” (Romans 12:13). It teaches us that “the alien who resides with you shall be to you as the citizen among you; you shall love the alien as yourself” (Leviticus 19:34). Current events at our own national borders have given us all reason to question how well we are obeying God’s instructions on the treatment of immigrants and refugees. Thousands of men, women, and children, fleeing oppression and violence in their homelands, are coming to our country seeking refuge and asylum. 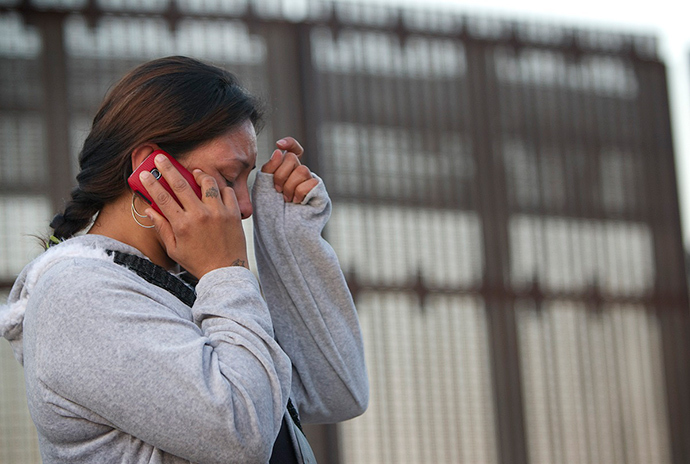 Just as the violence facing the child Jesus forced his parents to uproot and immigrate to Egypt, tens of thousands of parents have fled to the United States in order to ensure the health and safety of their families. 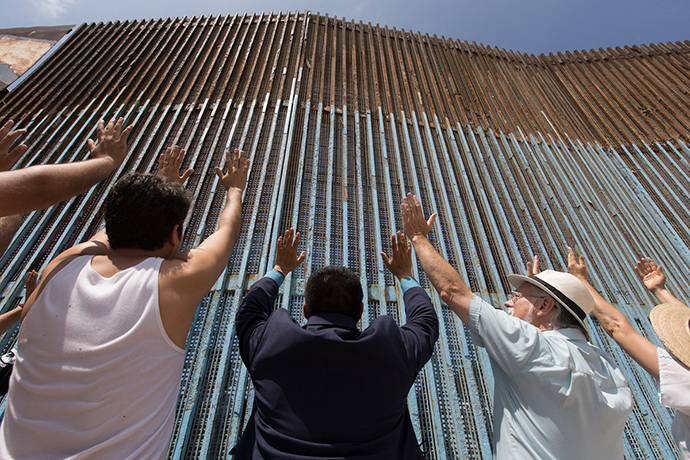 Fortunately, there are groups, many of whom have been long-standing partners in ministry with the Texas Annual Conference, who are attempting to live into the biblical mandate to “love the alien as yourself” and provide much needed assistance to the refugees at our southern border. El Valle District of the Rio Texas Conference, UMC – Through the Center for Missional Excellence and almost a decade of mission experiences with the cabinet and ordination classes of the Texas Annual Conference, we have a strong partnership with the El Valle District of the Rio Texas Conference. The El Valle District supports several different ecumenical ministries in the Rio Grande Valley which provide assistance such as food, clothing, shelter, and hygienic needs to immigrants who have been cleared by our federal government to enter the United States pending the outcome of asylum or immigration hearings. Financial contributions can be made to the El Valle District through our conference treasurer’s office. Please make your checks payable to the Texas Annual Conference and designate “El Valle District Immigration Missions” on the memo line. 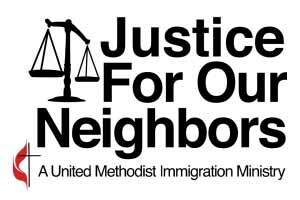 Justice for Our Neighbors – Justice for Our Neighbors (or JFON) is a legal services organization birthed through the United Methodist Committee on Relief (UMCOR). JFON provides free and reduced cost legal services to the immigrant community. The Texas Annual Conference is blessed to have two JFON chapters in our conference, one in Houston and one in Tyler. Financial contributions can be made to JFON through their websites http://jfonhouston.org/ and https://www.et-jfon.org/ and through the Conference treasurer’s office by sending a check addressed to the Texas Annual Conference with “JFON Houston” or “JFON East Texas” in the memo line. Additionally, JFON needs volunteers with language skills and legal backgrounds. Attorneys and paralegals are needed for pro bono work. Immigration law experience is helpful but not required. They also need translators (primarily but not exclusively Spanish). For more information, visit their websites. Volunteer Chaplains in Immigration Detention Facilities – There are several Immigration Detention Facilities located within the Texas Annual Conference, including two in Conroe. The Joe Corley Detention Facilities in Conroe are operated by the GEO Corporation. As a private prison company, they do not employ religious chaplains. However, they have a Volunteer Chaplain program that allows both lay and clergy to come into the facility for ministry. These Volunteer Chaplains do not officiate at religious services, but rather provide a loving, caring Christian presence for the detainees. Volunteer Chaplains may pray with detainees or simply sit and listen to them. Those interested in serving at the Joe Corley Detention Facilities as a Volunteer Chaplain may contact the Center for Missional Excellence, smoore@txcumc.org, 936-788-6650, for information. Those selected will then be referred to the facility for processing, security screening, and training. Through these opportunities, we can be the hands and feet of Christ to some of God’s most vulnerable children. If you have any questions or would like to schedule someone to come to your church to speak about the United Methodist response to immigration, please contact the Rev. Scott Moore, Director of The Center for Missional Excellence.